When the UN Sustainable Development Goals (SDGs) were adopted in 2015 the year 2030 seemed far away. In exactly 15 years the goals are set to have contributed substantially towards ending poverty, discrimination, destruction, violence, climate change and unequal access to resources on a global and local scale. They are ambitious and they need to be. The implementation of new policies, short and long term strategies and particularly guarantees of access to equal rights and participation are essential to achieving the goals. At the same time a critical view is called for, as the goals are still based on models of economic growth that lie at the core of the problems that they intend to address. 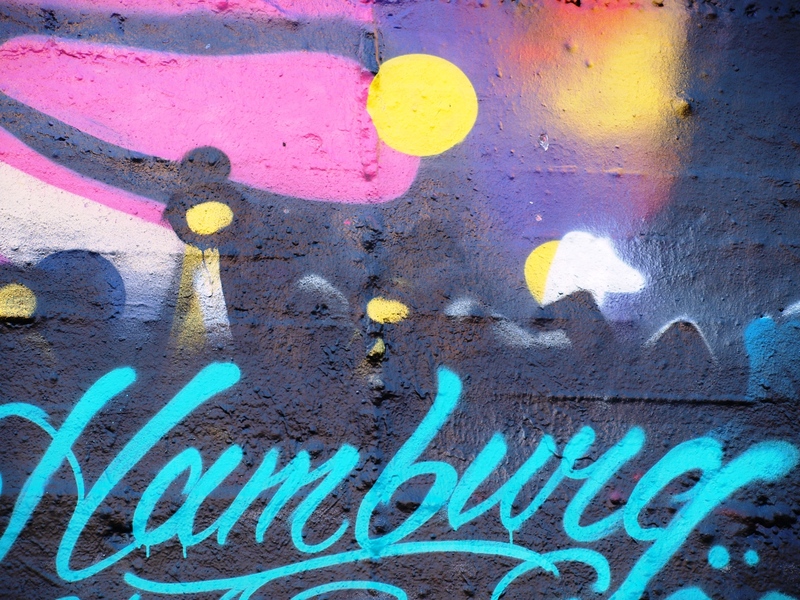 In order to make the 17 SDGs known to the public and take them out to the communities for debate and participation a new project was initiated in the city of Hamburg. “globalgoals.hamburg” was started by two local global education specialists, Friderike Seithel and Liz Kistner. The move towards a more socially just and ecologically responsible system for sustainable development is essentially a cultural task and poses a challenge for society as a whole – including government and non-government organizations. Art and creative formats were chosen because sustainable development demands this – and art can respond by developing comprehensive ideas and visions, transcending boundaries, showing contradiction, by rearranging forces, by innovation as well as allowing for irrational and ambivalent elements. Art can be a catalyst for unbiased and unconventional views, which are certainly needed in the debate around global sustainability goals. This is what the initiators of the project “globalgoals.hamburg” have in mind. Discussion and debate, planning and implementation are encouraged to enter universities, city halls, schools and institutions, as well as the streets and parks of a city that is experiencing the dynamics and tensions of global conflict. The first large painting was mounted in a highly frequented public space (Neuer Kamp 32, 20357 Hamburg) at the end of June. It was designed in a discussion process and finally created by the artist Eckart Keller. It takes up SDG 1: End Poverty – just before leaders of the economically most powerful countries met for the G20 summit in the city of Hamburg in July. A second banner dealing with SDG 6: Clean Water and Sanitation has been created by Shraddha Shrestha (Macha_73). She is working as an illustrator and street artist in Kathmandu. As from February 15 her interpretation of SDG 6 will be installed at Neuer Kamp 32, in the city of Hamburg. Access to clean water and sanitation has been endorsed as a Human Right by the UN since 2010. There is not a shortage of clean water in the world, there is unequal and unfair access to this fundamental life source. 9% of the world’s population lacks access to clean drinking water and 30% of all people are not provided with basic sanitation services. Those most affected are women and children. While some regions are faced with geographic conditions and consequences of climate change others are simply robbed of their resource by extensive overuse and pollution of ground water supplies. Problems around water supplies are closely related to the global economic system. Many countries have externalized their intensive water consumption to other regions by importing consumer goods that require extensive use of water, for example in the production of meat, textiles, food stuffs or flowers. Enjoying a cup of coffee in Germany costs 140 litres of water, producing a litre of milk involves 1.000 litres of water and a kilo of beef up to 15.500 litres. 4.000 km3 of fresh water are extracted annually worldwide. 70% is used in the agricultural sector, 20% in industry (including energy production) and 10% in settlements. Another 6.400 km3 reaches the agricultural sector in the form of rain fall. In North America as well as in Europe 50% of extracted water is used by industry, in Western Europe as much as 70%. While clean water is essential for drinking, for farming, in food and industrial production, sanitation is directly related to personal health and safety, particularly for women and children. Water and sanitation-related diseases are major causes of death in children under 5 years. The absence of toilet and hygiene facilities make women and girls particularly vulnerable to sexual assault and discrimination. Non-existent or inadequate sanitation is a source of dangerous diseases and unsafe living conditions which in turn often have an effect on school education and life planning. The initiators of “globalgoals.hamburg” not only want to focus the discussion around SDGs on the context of the particular issues raised within each goal, but particularly also on what systems are in place that prevent justice, equal participation and negotiation, access to and shared control over resources in order to build communities and societies that are truly sustainable, interdependent and deeply respectful of human rights and development.